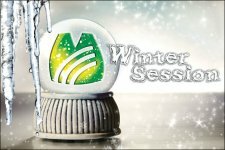 For students seeking to complete a course within just a matter of days this winter, Mercer County Community College offers accelerated on-campus and online classes during its traditional mid-winter break. Mercer's 2018-2019 Winter Session includes nearly 40 courses from across the college curriculum. Register Now for best class availability! Please refer to registration instructions unique to Winter Session. NOTE: Winter Session classes are accessible by selecting Winter 2019 as the "Term" in your course search from MyMercer.